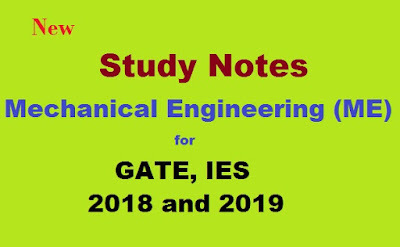 Latest Class room notes of Mechanical Engineering, for GATE, IES and PSUs (2018-2019). These study notes are written with new syllabus of Engineering Service examination for Mechanical Engineering. These notes are collected from one of the famous coaching institute for GATE and Engineering Service examination, Made easy.